My first blind-eye tied for fishing: a Lady Caroline on a large Partridge #3/0 hook, I have never fished this before either, so this will be something to test out once the rivers open again. 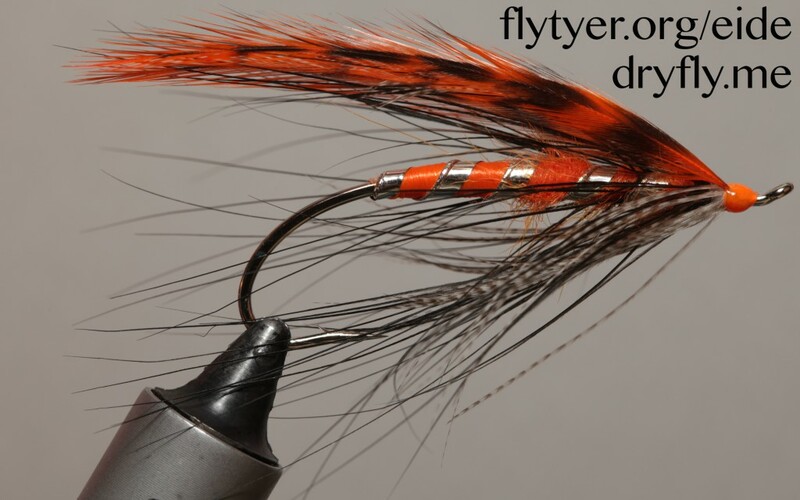 The gut is artificial gut from Helsinki Spey Clave. A first for me: the classic Lady Caroline! I have looked at this for a long time but have been missing the materials to do it properly. The base pattern itself is not difficult, but getting it perfect is another thing: I’ll tie up a batch of these for fishing this winter, maybe experimenting with some sealsfur for body dubbing. 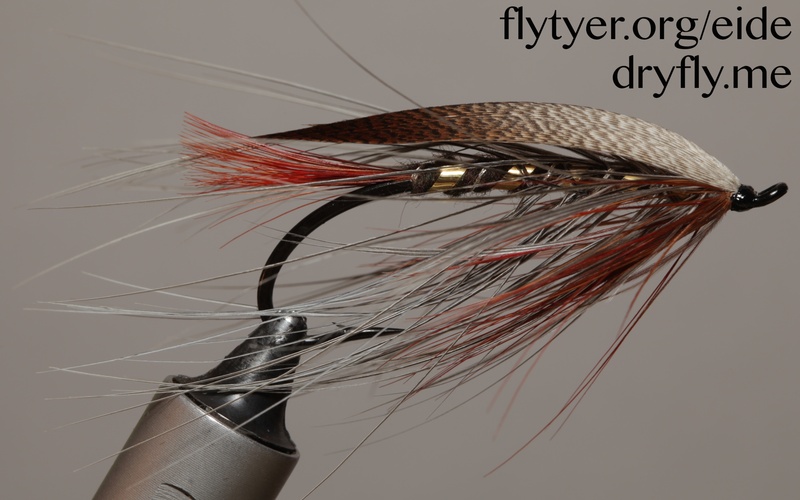 Time to start on another box: now it is time to do some spey flies in different combinations. 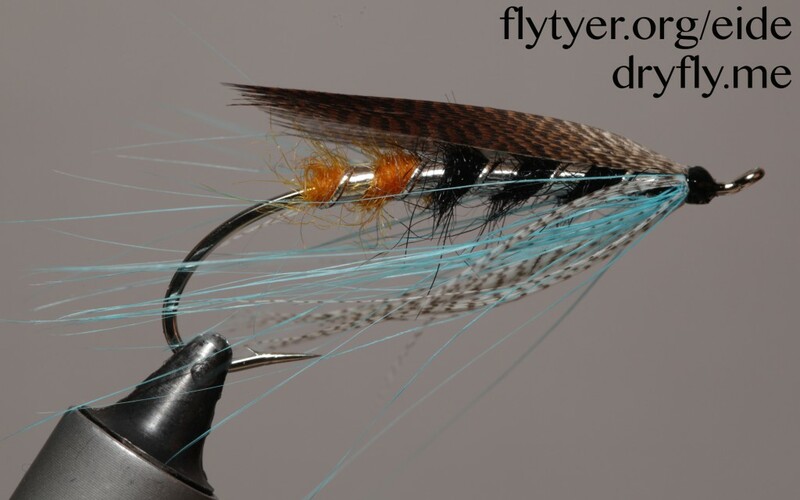 Got my hands on some blue spey hackle from whiting earlier this autumn, I’ve only used them on some blue/black shrimp pattern before, but got inspiration from a pattern that turned up on facebook this morning and had to tie this up. 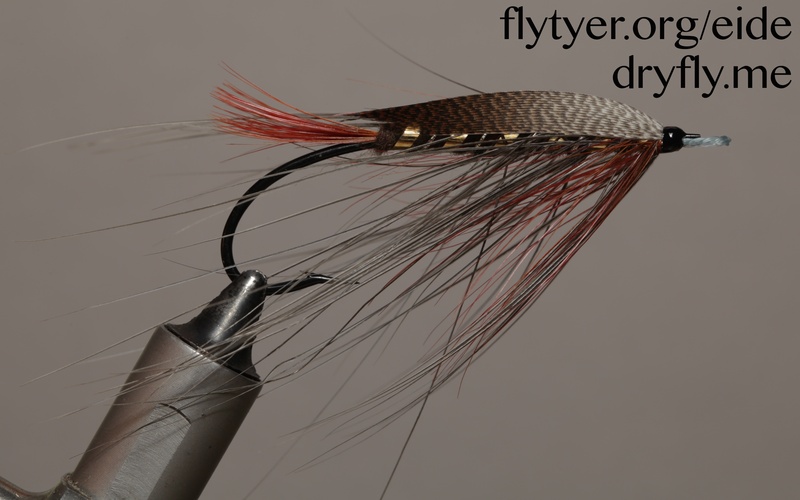 The first spey I have done with the traditional full feather wing. I got a rooster neck from silverfishing the other day and I just had to do a spey fly with it. 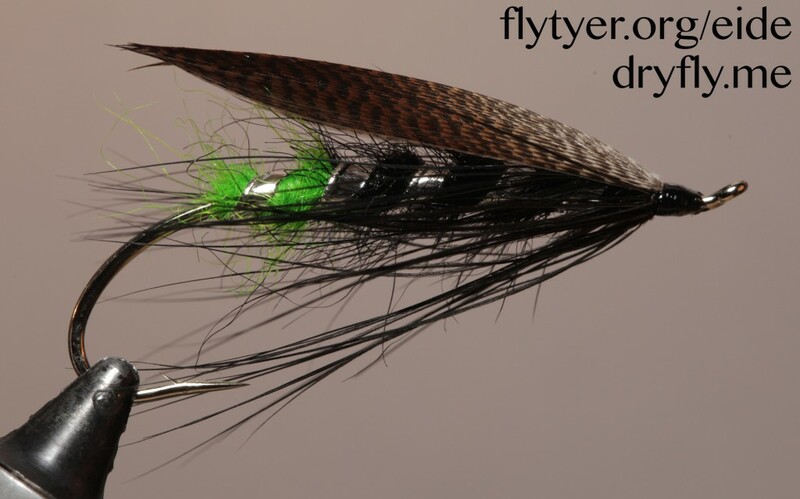 Great colors here, easy to tie up and should be super effective in the water!